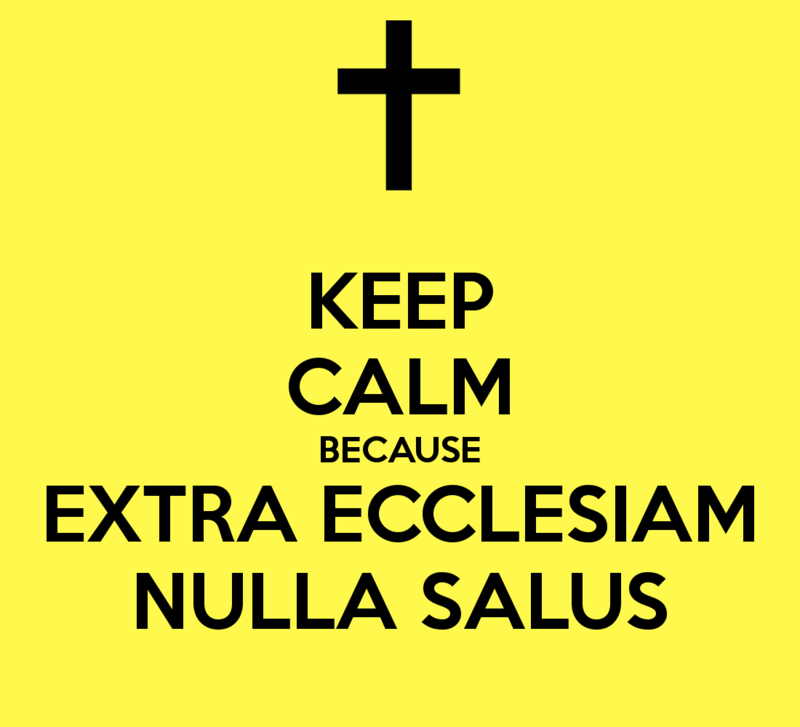 Extra Ecclesiam Nulla Salus: No Salvation Outside the Church – Reply to Pastor Bill Keller | ADULT CATECHESIS & CHRISTIAN RELIGIOUS LITERACY IN THE ROMAN CATHOLIC TRADITION: hosting ONLY True Christians!! !, or "How to think Catholic!!" “Catholics think that Protestants are fully incorporated into the Body of Christ by virtue of baptism. I have rebuked and rejected the extremists who made the claim that the Roman Catholic Church is the only true church and that you are not even saved unless you are part of that church. Every Christian group believes that it has the truest theology, or else it would hardly have a reason for existence. The Catholic claim that there is only one true Church is simply hearkening back to the views of the Church fathers and, indeed, of the Bible itself, that knows nothing of denominations. There is a lot of misunderstanding, however, about our claim that no one is saved apart from the Catholic Church. We do not believe that every person has to necessarily be a formal member of the Catholic Church to be saved. We think that if a person fully understands what the Catholic Church teaches, and rejects it, then they cannot be saved, but many do not understand our teachings, and we believe that God takes that into consideration. The Catholic Church thinks that Protestants are fully incorporated into the Body of Christ by virtue of baptism, and that many graces are available within Protestantism, leading possibly even to salvation, if a person is unacquainted with Catholic teachings. The Bible teaches that the church (ekklesia) is a body of Believers. The true church according to Scriptures is made up of those who have accepted Jesus Christ as their Savior and hold the Bible to be God’s inspired, inerrant Word, representing Absolute Truth and our final authority in all matters. This is not true. The Bible is a supreme authority, yes, but it has to be interpreted in line with the Church. That is seen in many biblical examples; most notably the Jerusalem Council, recorded in Acts 15. The Church also includes sinners in its ranks, and has visible elements by which it can be identified. It was nearly 400 years AD before what we know of today as the Roman Catholic Church emerged. Hardly. We see clear signs of Catholic doctrines such as the Real presence in the Eucharist, bishops, a centralized hierarchy centered in Rome, baptismal regeneration, the communion of saints, Mariology, and so forth, from a very early period. Doctrines had to develop more fully, sure, but that is true of all Christian doctrines, so that the Trinity was more fully developed at the Council of Nicaea in 325 and at the Council of Chalcedon in 451 (the doctrine of the Two Natures of Christ). What makes a true Christian church is faith in Jesus Christ and adherence to the Bible as God’s Word. And what does that Bible teach? That is the question. What does one do when two or more of these churches disagree with each other on doctrine? The NT knows nothing of doctrinal relativism. There was one truth, period. So the trick is to determine where that lies. The Church Fathers always appealed to history and apostolic succession tracing back the true Catholic doctrine and opposing those who could not trace their doctrines back to the apostles: like the Arians (precursors of today’s Jehovah’s Witnesses, who deny that Jesus is God). The Arians appealed to Bible alone because they couldn’t follow their heresy back to the beginning. It began in the 4th century. So for Pope Benedict to state that all non-Roman Catholic churches are not true churches is a lie and not what the Bible teaches. All we are doing is saying that the Bible teaches that there is but one “Church” and that we claim to be that Church. If someone wishes to argue that denominationalism and more than one Church can be found in the Bible, then let them make that argument. I contend that it cannot be done. Nor can a solely invisible Church be found in the Bible. The first thing to determine, then, is the nature of the Church. Then one has to figure out if this entity “The Church” exists and how to identify it. Most troubling, however, is the Pope’s claim that salvation is only achieved through the Roman Catholic Church. I hate to give the Pope a Theology 101 lesson, but there is only one way to be saved and that is through faith in Jesus Christ alone. Period! We agree with Protestants that salvation comes through Christ alone through grace alone. God uses the Church and human instruments to convey that salvation to men. The two are not mutually exclusive. NO CHURCH CAN SAVE YOU! We do not claim that the Catholic Church is the ultimate cause or origin of salvation. That is God alone. We are saying that God uses His own Church: that He set up by His own will, as His instrument in salvation, because human beings are not isolated individuals, with no connection to each other. This notion that being part of a church can save you is not only anti-Biblical, it is pure blasphemy! In essence, what Pope Benedict is saying is that anyone outside of the Roman Catholic Church is not saved! That is not what the Bible teaches and is the type of statement I would expect out of a cult leader, not the head of the world’s 1.1 billion Catholics! Nor is it what we teach. It is the Calvinist view that consigns people to hell solely because of an accident of birth, or never having heard the gospel message of Jesus Christ. We say only that whoever is saved is so in part because of the aid of the Catholic Church, whether they are aware of it or not, not that they will be damned if they are not formally a member of the Catholic Church. It appears now that the Pope doesn’t even know how to be saved and I wonder if he is trusting Jesus by faith or his church for his own salvation? No Catholic trusts the “Church” for his or her salvation. We simply believe that there is such a thing as a visible, historical Church, with apostolic succession, that has authority, and which can bind its members to believe certain things, and require them to reject heretical, false doctrines, and that this is clearly taught in the Bible. 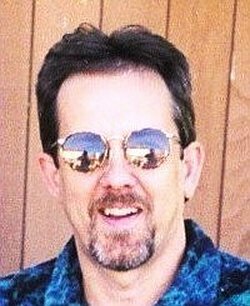 I find it very troubling that the Pope would seek to placate those who are following the false religion of Islam to the depths of hell, yet has no problem telling Bible-believing Christians who have put their faith in Jesus Christ that unless they are part of the Roman Catholic Church they are not saved! Ecumenism, apologetics and evangelism are all distinct and important tasks, but they are not mutually exclusive. We live in a world with others who do not believe as we do. This conflict causes wars and much misery. So, while not watering down our own beliefs, it is good and worthwhile to build bridges with others insofar as we can do so without forsaking our own beliefs and principles. The pope, as a hugely important world figure, does all these things. The very reaction of Catholic critics proves this, because we get misery no matter what we do. If we claim there is one Church through which we can be saved, we’re accused of being narrow and dogmatic. But if we are ecumenical and reach out to Muslims as much as we can, then we are accused of forsaking the same gospel that we assert in connection with the one true Church and One True Doctrine. We can’t win for losing. In effect, unless we are Protestants, we’ll always be roundly condemned. Nothing is more divisive than the unbiblical doctrine of denominationalism. True unity will only come through doctrinal unity, not a touchy-feely, “least common denominator” brand of low-church Protestantism. That has never brought about an end of division; only a weakening of orthodox Christian doctrine. No Protestant denomination can be traced in historical continuity all the way back to the apostles. The Methodists derived from the Anglicans, who derived from the lustfulness of Henry VIII and his desire to break off of the Catholic Church for the reason of wanting to divorce his wife. Hardly a biblical origin . . . The Assemblies of God are only a little more than a century old, derived from the holiness movement of the 19th century, that was an offshoot of Methodism. The Baptists began with the Anabaptists in the 16th century. The Catholic Church began with Jesus commissioning Peter as the first pope in Matthew 16, and the infallible Church Council of Jerusalem (Acts 15). There is no comparison. No Protestant denomination can demonstrate that it is in line with the consensus of the Fathers and the Bible. Eastern Orthodox is the only viable alternative to Catholicism, and we consider the Orthodox very close to us, and indeed, a “sister” Church. The critical point is that while each group of churches or denominations have their own unique differences in regard to different doctrinal issues, what makes them Christian churches are the foundational element of the Christian faith.